As we edge ever closer to summer once more, talk of the year’s biggest annual gaming exhibition has once again started to crop up, and although Nintendo has opted not to hold big pressers like Microsoft and Sony over the last couple of years, that doesn’t mean it won’t be out in full force to promote the latest titles headed to its hardware in the future. Nintendo of America boss Reggie Fils-Aime recently told Fox News in an interview that the Big N is going to have a “big E3 this year,” adding that it’s going to be “showcasing a variety of games” across the three-day period. Sadly, Fils-Aime doesn’t drop any specific names or make any announcements during the interview, but does refer to there being various “little secrets” in line to be revealed during the event, which, he said, will focus on giving attention to not only Nintendo Switch, but also the 3DS. 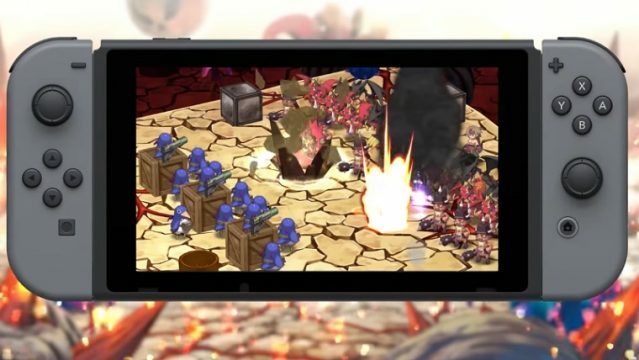 I can tell you that E3 is going to be a major opportunity for us to showcase not only Nintendo Switch, but also content coming to Nintendo 3DS. Without so much as a hint towards what it has up its sleeve, attempting to make an educated guess on what Nintendo has planned is, at this point in time, rather futile, but it’s more or less a given that we’ll be getting more details on Super Mario Odyssey and Splatoon 2, both of which are currently scheduled to release for the Switch before the end of 2017. With The Legend of Zelda: Breath of the Wild having already represented that revered franchise, there’s no telling what’s next. Dare we hope that a new Metroid title is on the way? As for the Switch itself, Fils-Aime said that reaction to the hybrid console “has been fantastic,” and that consumers have responded to its launch positively. Considering the recent report by Wall Street Journal stating that the company has doubled production of the hardware since release, Fils-Aime certainly isn’t exaggerating. This year’s E3 runs from June 13-15 and, besides having some big Nintendo reveals, is likely to be the staging ground for Microsoft’s unveiling of Project Scorpio. Summer can’t come fast enough.